At the start of the Winter War, Finland brought up the matter of the Soviet invasion before the League of Nations. The League expelled the Soviet Union on 14 December 1939 and exhorted its members to aid Finland. At the beginning of the war, total victory over Finland was expected within a few weeks. The Red Army had just finished the invasion of eastern Poland at a cost of less than a thousand casualties. Stalin's expectations of a quick Soviet triumph were backed up by the politician Andrei Zhdanov and military strategist Kliment Voroshilov, but other generals had their doubts. The chief of staff of the Red Army, Boris Shaposhnikov, advocated a serious buildup, extensive logistical and fire support preparations, and a rational order of battle, deploying the army's best units. Zhdanov's military commander Kirill Meretskov reported at the start of the hostilities: "The terrain of coming operations is split by lakes, rivers, swamps, and is almost entirely covered by forests... The proper use of our forces will be difficult." However, these doubts were not reflected in his troop deployments. Meretskov announced publicly that the Finnish campaign would take at the most two weeks. Soviet soldiers had even been warned not to cross the border into Sweden by mistake. Stalin's purges decimated the officer corps of the Red Army; those purged included three of its five marshals, 220 of its 264 division-level commanders or higher, and 36,761 officers of all ranks. Fewer than half of the officers remained in total. They were commonly replaced by soldiers who were less competent but more loyal to their superiors. Furthermore unit commanders were superseded by a political commissar, who ratified military decisions on their political merits, further complicating the Soviet chain of command. 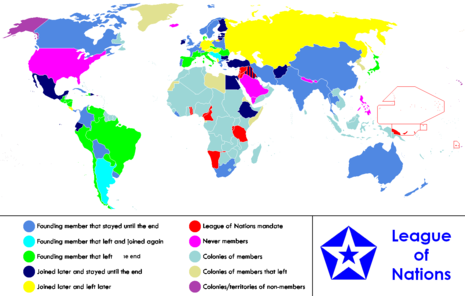 For the reasons set forth in the resolution of the Assembly, in virtue of Article 16, paragraph 4, of the Covenant, finds that, by its act, the Union of Soviet Socialist Republics has placed itself outside the League of Nations. It follows that the Union of Soviet Socialist Republics is no longer a Member of the League.